Short nose often appears to be as upturned nose (pig nose) with more than 110 degree of nasolabial angle. Most of cases, nasal tip is overly turned up and the nostrils are quite visible from the frontal position. In overall, the length of nose is shorter than average length and excessive amount of nostrils is seen in short nose deformity. This type of short nose and upturned nasal tip, complex surgery method will be carried. 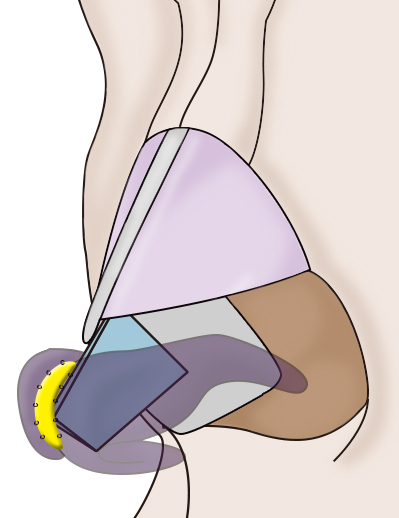 Septal cartilage can be used to extend the lateral part of septum, which will lengthen the nasal tip to downwards. Also, ear cartilage will be added on the alar cartilage to lengthen the nasal tip. 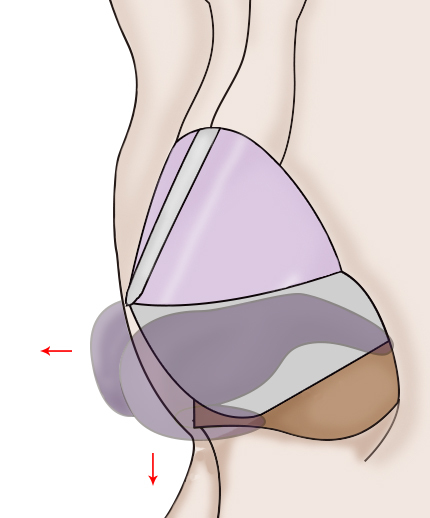 If there is not enough septal cartilage remaining or septal cartilage is small, both septal cartilage and ear cartilage can be grafted to lengthen the nose. Moreover, by rearranging cartilage position will also be carried to lengthen the nose while extending downwards. 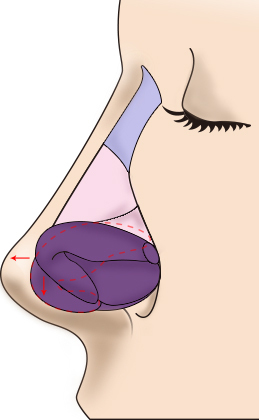 Alar cartilage will be re-positioned and membranous septum and external skin of nose tip can be lowered and extended to create longer nose shape.When extending the length of nose, external skin has to be stretched to secure the sufficient space for the lengthened nasal tip.When the columella is located inward, columella needs to be repositioned as downward.